The Pot Noodle owner is paying 2.3 billion euros for fast-growing Carver Korea, maker of “Eye Cream for Face” serums. Owners Bain Capital and Goldman Sachs pocket a hefty profit. Unilever gains access to a booming Asian market, and exposure to e-commerce and duty-free outlets. 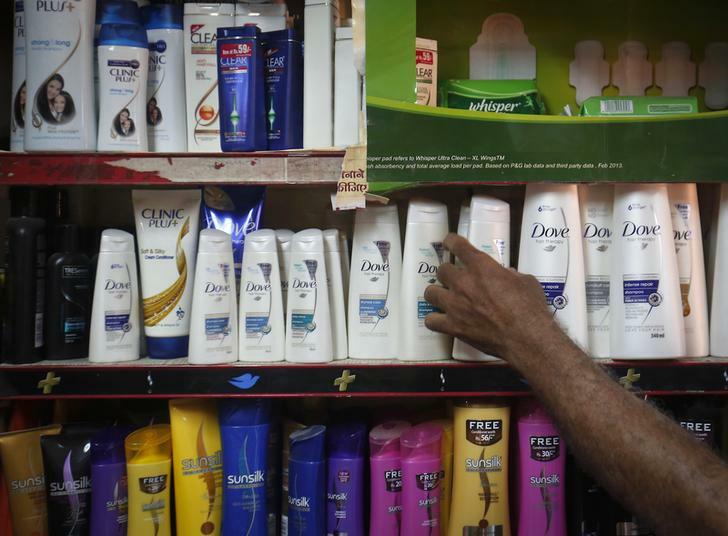 A salesman takes a bottle of Hindustan Unilever Limited (HUL) Dove shampoo from a shelf at a shop in Mumbai April 30, 2013. Unilever on Sept. 25 said that it has agreed to buy Carver Korea, an Asian skincare business, from Bain Capital and Goldman Sachs for 2.3 billion euros. Carver had sales of 321 million euros and EBITDA of 137 million euros in 2016. Bain Capital and Goldman Sachs bought a majority stake in the business in July 2016. Carver sells cosmetics in South Korea, China and the United States through home shopping television networks, retail stores, duty free shops and e-commerce. Unilever’s shares were up 0.7 percent to 49.5 euros by 0900 BST on Sept. 25.